Mohamed Mohamed Mohamed Aboutrika (Arabic: محمد أبو تريكة‎; born 7 November 1978) is an Egyptian footballer. Aboutrika plays as a second striker and as an attacking midfielder for the Egyptian team Al-Ahly and the Egyptian national football team.Aboutrika was nominated for the 2006 CAF African Footballer of the Year award, and he came second in the 2008 African Footballer of The Year award. He was chosen Africa Based Player of the Year 3 times in 2006, 2008 and 2012.Aboutrika won with the Egyptian national team the African Cup of Nations in 2006, and he scored the winning goal to help Egypt win the 2008 Africa Cup of Nations. He helped his team Al-Ahly to get the bronze medal in the FIFA Club World Cup in 2006, and he is also the joint all-time top scorer in the FIFA Club World Cup with 4 goals along with Lionel Messi and Denilson.In the first part of Egyptian league 2003-2004, Aboutrika scored 3 goals for Tersana. He was offered a position in Egypt's and one of Africa's top football teams, Al-Ahly. He scored 11 goals in his first and only 13 appearances with Al-Ahly in 2003-2004 league, coming in the second place between top scorers in the Egyptian League with 14 goals.Since 2004 when he joined Al-Ahly Club, Aboutrika has scored 11 goals in the Egypt Derby against Zamalek, which is the top record of goals,after him comes emad moteab with 10 goalsAboutrika's efforts with Ahly led to attention from the Egyptian national team, and he debuted against Trinidad and Tobago in a friendly match before the World Cup 2006 qualifiers on 31 March 2004 in Arab Contractors Stadium. His debut game ended 2-1 for the Egyptians. He started as an attacker, but was found to play better when he played his normal position behind the attackers in the midfield position. Aboutrika scored his first national goal in this game. He scored 5 goals in his first 6 appearances with Egypt. 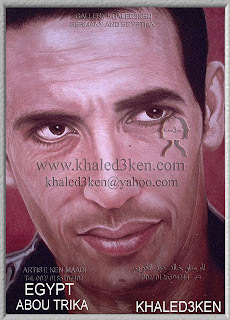 Hossam Hassan Hussein (Arabic: حسام حسن‎; born 10 August 1966 in Cairo) is a retired Egyptian footballer who played as a striker, and a current coach.A prolific goalscorer, he amassed well over 150 caps for Egypt, netting more than 50 times. His twin brother, Ibrahim, also played professional football, and they shared teams for most of their extensive careersOther than two unassuming spells abroad in Switzerland and Greece, Hassan played mainly for hometown's Al-Ahly, for which he made his first-team debuts aged 18, playing his last match for the club sixteen years later. He ranked first in the club in several categories, and won a total of 25 titles with it, including 11 leagues; he was only one of two players ever to find the net in derbies for each team.In 2000, already at 34, Hassan left Al-Ahly, going to represent Al Ain SCC, Zamalek SC - adding three more leagues and the 2002 CAF Champions League - Al-Masry Club, Tersana and Al-Ittihad Al-Sakndary, while continuing to score at length. 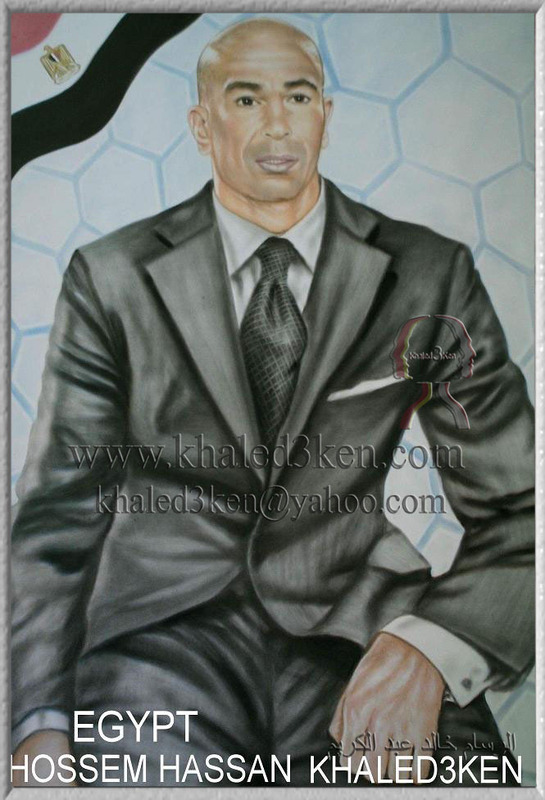 He retired aged almost 42, having played most of the time with his sibling Ibrahim, including abroad.On 29 February 2008, Hassan was named both general manager and coach of former club Al-Masry, before signing at modest Itesalat.After the sacking of French coach Henri Michel, he was named manager of former side Zamalek, on 30 November 2009. his first match in charge was on December 3, 2009, which ended in a controversial 2–1 loss against Haras El Hodood, as opposing playerAhmed Eid Abdel Malek was not supposed to play in that match, having been sent off the previous one. Abdel Malek ended up playing, and scored Hodood's first goal.Hassan's first win at Zamalek came on the 12th, against Al-Masry (3–0); in twelve matches, he took the club from 14th place to second, only losing one game and drawing another. 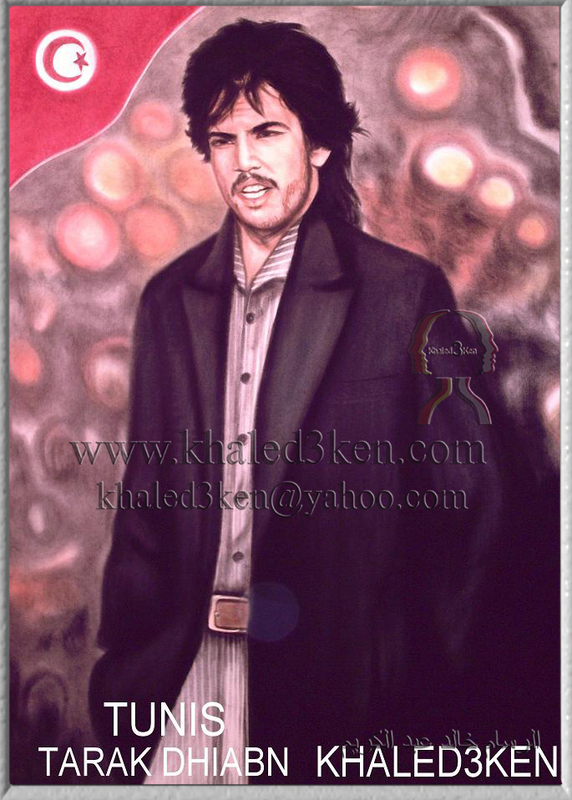 Tarak Dhiab (Arabic: طارق ذياب‎, born July 15, 1954 in Tunis) is a former footballer fromTunisia. The African Footballer of the Year in 1977, he is listed by the Fédération Tunisienne de Football as having 107 caps for the Tunisian national football team,although this number has not been ratified by FIFA. At the 1978 FIFA World Cup, he was a member of the Tunisian national team that was the first national team from African to win aWorld Cup match. Tarak Dhiab was chosen The Tunisian footballer of the 20th century.He has served as Minister of Youth and Sports under Prime Minister Hamadi Jebali since December 24, 2011.Dhiab's football talent was discovered by his uncle, Hedi Dhiab, who developed Tarak'sambidextrousness. Dhiab joined the Tunisian club team Espérance Sportive de Tunis.Dhiab assumed the midfield role with superb passing skills and an excellent scoring record from midfield. He formed a sound understanding with winger Témime Lahzami both at Espérance and on the Tunisian national team.Dhiab was awarded the African Footballer of the Year title in 1977 and played a pivotal role in helping Tunisia qualifying for the 1978 FIFA World Cup. At the World Cup, Tunisia won a group stage match 3-1 against Mexico, becoming the first national team from Africa to win a match at the World Cup. In coverage relating to the 2006 FIFA World Cup, Dhiab was mentioned as Tunisia's "World Cup legend" by the BBC and as one of Tunisia's greatest World Cup players by the CBCHe is widely regarded as one of Tunisia's all-time greats, and arguably the greatest midfield playmaker the country has produced. Though he never played in a major European league, many believe he was able to hold his own among international playmakers in this period. Dhiab's international career spanned 15 years; his final international match came against England in 1990.